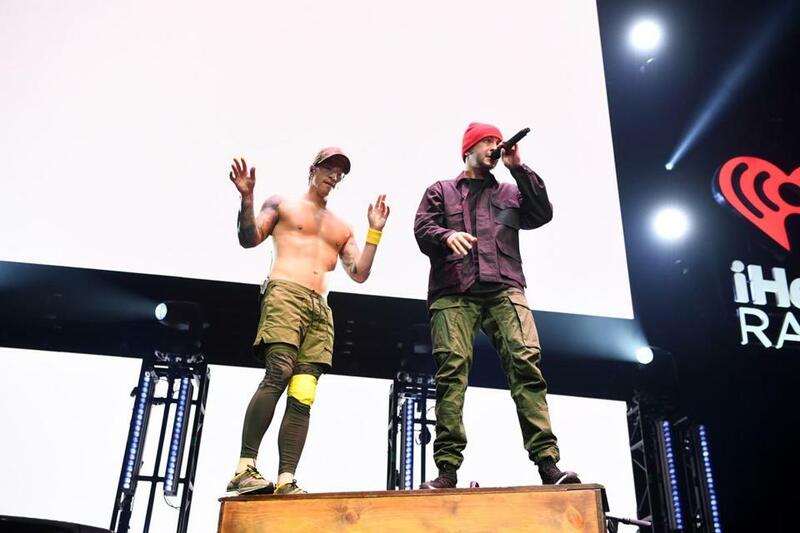 Josh Dun (left) and Tyler Joseph of Twenty One Pilots will headline the first day of Boston Calling 2019 on May 24. Less than two weeks after announcing the Boston Calling 2019 lineup, festival organizers have released the single-day lineups and prices for the festival’s 10th edition, May 24-26. Alt-rock duo Twenty One Pilots will headline the Friday lineup, while psychedelic pop-rock band Tame Impala has top billing for Saturday’s lineup, and rapper Travis Scott will cap off the weekend as the top act in Sunday’s lineup. The festival will be held at the Harvard Athletic Complex in Allston. Single-day tickets will go on sale on Thursday, Jan. 24, at 10 a.m. at bostoncalling.com. General admission passes will be available for $99, VIP passes for $199, and platinum VIP passes for $599, with prices expected to increase after a limited time. VIP passes offer perks like a fast pass entrance to the festival, a VIP lounge with a full bar, and air-conditioned bathrooms, while platinum VIP passes come with VIP perks plus access to elevated views of the two main stages, premium food and beverage options, and exclusive merch. Some of the additional artists on the Boston Calling lineups include: Greta Van Fleet, Janelle Monáe, Lord Huron, and Christine and the Queens on May 24; ODESZA, Anderson .Paak & the Free Nationals, Hozier, and Mitski on May 25; and Logic, Brandi Carlile, Sheck Wes, and Rainbow Kitten Surprise on May 26.